You know those DVDs that sit in a giant Walmart bin, where, if you’re so inclined, you can spend half an hour sifting for a $2 treasure? 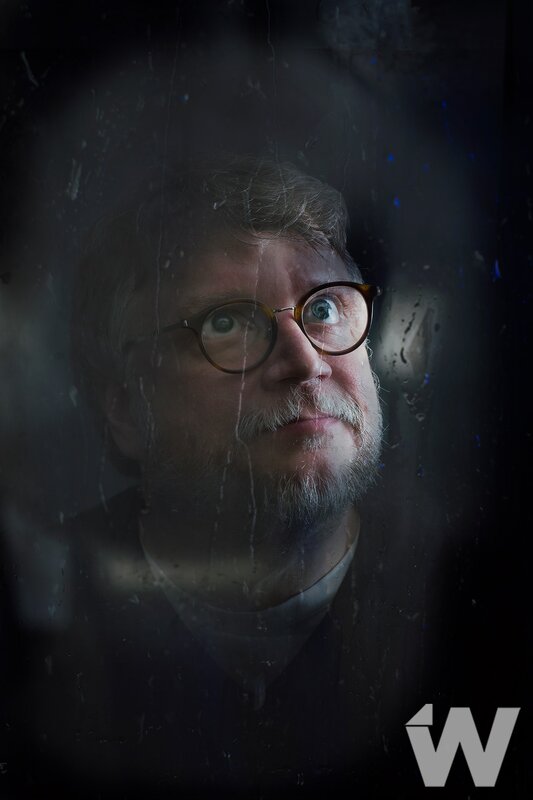 The kinds of movies usually dumped unceremoniously into theaters in January, and maybe if you’re going stir crazy you take a chance and find yourself happily surprised? “Hunter Killer” is one of those. It’s not going to win any Oscars, or give “Halloween” a run for its money. And what it’s doing taking up valuable cineplex space in the fall is anyone’s guess. But sometimes there’s a pleasure to be had in finding one’s low expectations met and even surpassed. 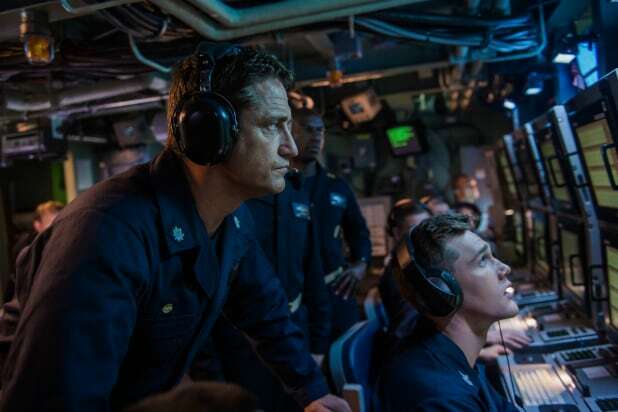 And since we’re already damning this one with faint praise, let’s push it further still: As Cold War submarine thrillers starring Gerard Butler go, you could do a lot worse. South African director Donovan Marsh, who alternates between genre action like 2013’s “Avenged” and quirky indies like 2010’s coming-of-age tale “Spud,” keeps this ship afloat by embracing his challenges with a wry self-awareness. Things do start off worryingly, with Butler’s Captain Glass barking out stilted orders after he’s brought onto a job under duress. Much to the horror of a bunch of extras in military uniforms, it seems a Russian sub has attacked the USS Tampa Bay, stationed in their waters. Chairman of the Joint Chiefs of Staff Donnegan (Gary Oldman, who maybe hadn’t won his Oscar for “Darkest Hour” when he signed on?) wants to go right to the nuclear option. But he’s pulled back from the brink by Rear Admiral Fisk (Common, admirably solemn) and NSA analyst Norquist (Linda Cardellini, bored stiff), who believe something bigger is going on. And this is where things get kinda interesting. Satellite images suggest that Russia’s Defense Minister Durov (Mikhail Gorevoy) has gone rogue, kidnapping Russian president Zakarin (Alexander Diachenko) and orchestrating a violent government coup. His goal seems to be kick off World War III, so returning fire would just play right into his hands. Instead, Fisk and Norquist bring Glass and a sympathetic Russian captain (the late Michael Nyqvist, “John Wick’) onto an American sub, while simultaneously planning a SEAL rescue (led by Toby Stephens, “Lost in Space”) of Zakarin. The aim is to get Americans out of immediate danger, expose Durov’s plan and avoid any further escalation. But there’s a lot riding on Glass’ steady hand: If anything goes wrong, his men will die, and America will be forced to fight back big time. Screenwriters Arne Schmidt (“Chain Reaction”) and Jamie Moss (“Ghost in the Shell”) have adapted George Wallace and Don Keith’s novel “Firing Point,” and the movie feels like an airport paperback translated for the screen. The plot pulls you in, moves quickly, and falls apart upon the slightest inspection. As soon as we start to get bored by people in a tiny cabin shouting about hydraulics, we’re already off to a daring rescue attempt or tracking a torpedo. Nicely kinetic camerawork from Tom Marais makes the most of Michael Duthie’s strong editing, which keeps us shifting between D.C., the land raid, and the ocean depths. Also intriguing, for those who care, is the political message the filmmakers weave throughout. It’s not dove-ish, exactly, but it is unexpectedly pointed. A petulant leader holding an entire country hostage with his own narcissistic anger may feel like an old trope when it’s a Russian, but there are some unexpected hints that the parallel is not-so-secretly meant to hit closer to home. The U.S. president is played by a Hillary Clinton-like Caroline Goodall, and the most dangerous American character is Oldman’s John Bolton-esque hawk. Timothée Chalamet, director Luca Guadagnino and Armie Hammer, "Call Me by Your Name"
Director Luca Guadagnino, "Call Me by Your Name"
Gary Oldman and director Joe Wright, "Darkest Hour"
Actress Vicky Krieps, "Phantom Thread"
Costume designer Mark Bridges and Vicky Krieps, "Phantom Thread"